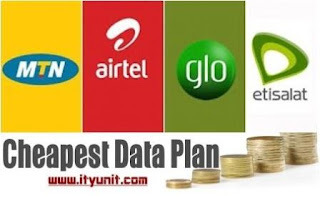 Browse and download cheaper on MTN, Etisalat, Glo and Airtel with these data plans and tweaks for 2016. Although network providers are not so often in releasing new cheaper plans, we have reviewed the best and working plans especially suitable for heavy downloaders. MTN official cheapest data plan is the 1 GB for N1000 plan (dial *567*3*2*2*1# to activate) but unfortunately not everyone is eligible. The next best official alternative is the 2 GB for N2015 (dial or send SPD to 131 to activate for 30 days). >>>To Set it up using Openvpn Connects App both on Android and iPad/iPhone, click HERE for the Settings. >>>To Set it up using Psiphon both on Android, click HERE for the Settings. >>>To Set it up using Simple Server both on Android and PC, See updated Settings below. 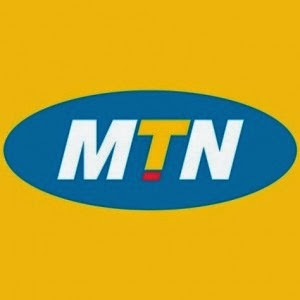 MTN BIS on Android with Simple Android Server is now better with the upgraded V4.0 with free VPN. Not only that, The SAS Premium has been cracked too, with this crack version, you can enjoy free Premium fast servers. Create New APN settings On Your Phone As Follows..
Save And Activate it as your default settings. 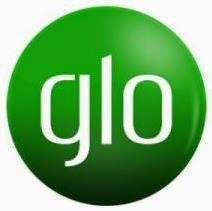 Best Official Plan from Glo is 1.5GB for N1,000 (Dial *777*21# to activate). This plan is suitable especially for those that can’t go the stress to use third-party megabytes. This plan is pretty good for downloading. Remember to confirm your APN settings which should be “glosecure”. The Glo BIS 3GB for N1000 is still working, you can enjoy this by changing your IMEI (without rooting your phone) and subscribing to the BIS plan. For this one, remember to confirm your APN settings which should be “blackberry.net”. Those of you still using Etisalat chatpak or Socialpack or N0.00K, Click Here to get the settings and Working Magic IP and smartpack IP. You can also get new magic IPs from the WhatsApp group, click here to join. Best Official Plan from Airtel is the new 3GB for N1000, unfortunately, it is not for everyone. Dial *431# to subscribe or to check if you are eligible before you load your card. If you are eligible, you will get the “insufficient balance” notification, You can check your balance with *140#. The next best official alternative is the blackberry plan 3 GB for N1500, which works on android. Dial *141*1*13# to activate. If you want to get 4 GB from the same amount, click here to learn more. If you are a heavy downloader on Airtel, the weekend plan is for you. Check Below. Lots of heavy downloaders have been rocking ever since this plan comes to existence. For those of you that are yet to rock this plan, why not have the code now and you can activate it during the weekend. To subscribe to this weekend plan, dial *474*1# and you will be given 1GB worth of data which can only be used on weekends alone. This data bundle is strictly for weekends browsing and 7 nights which starts from 12 am to 5 am each night. Dial *777# and follow the prompt message in subscribing for this package. These are the summary of the cheapest internet Subscription you can rock with your Smartphone and PC for this month of February 2016. I'm sure you didn't read through the article bro, it is all about the tweaks and official cheap data plan for 2016, BTW, you should know that some people just don't have the patience for tweaks and third party vpn and they can afford the convenience of official data plan. I GOT UR SETTING U SENT TO MY BOX BUT ITS STILL NOT CONNECTING. I USE AN IPHONE. PLS WAT AM I NOT DOING RIGHT?